Peak power output (PPO), also known as “peak work rate” is a common measure of exercise intensity. 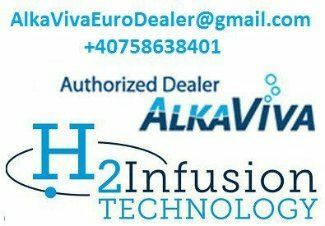 2 AlkaViva H2 ionizers such as Vesta/Delphy H2 can produce up to 1600 ppb at ph<10 ). The authors found that while in the placebo group, Peak Power Output in absolute values decreased significantly at the last couple of sprints and in relative values and ΔPPO decreased significantly in more than a couple of sprints, it remained unchanged in the group that drunk hydrogen rich water . Thus they conclude drinking 2 liters of hydrogen rich water per day over a 2 week period may help to maintain peak power output in intense exercise such as repetitive sprints to exhaustion over 30 minutes. J Sports Med Phys Fitness. 2018 May;58(5):612-621. doi: 10.23736/S0022-4707.17.06883-9. Epub 2017 Apr 26. Da Ponte A1,2, Giovanelli N3,4, Nigris D5, Lazzer S3,4.